The Mapping Network Hydrographic Survey Team exceeds expectations for Property Owner Association. 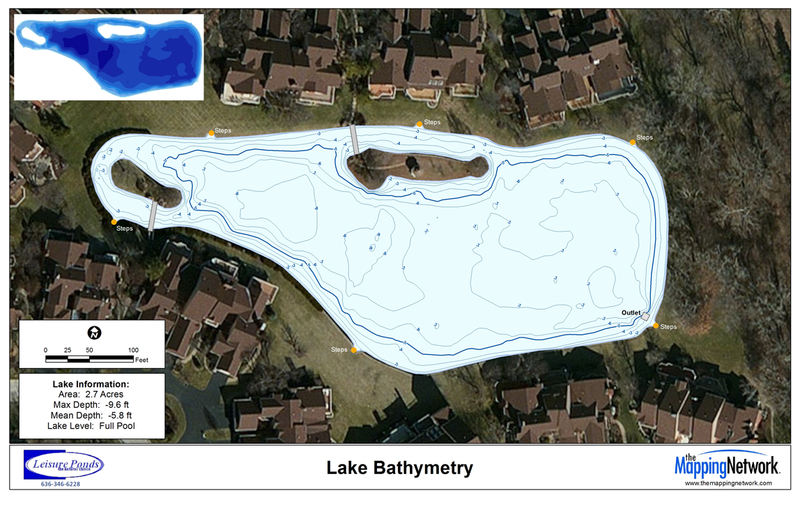 Overview: A lake property association (POA) has been dealing directly with the challenges associated with sedimentation in their lakes for over 20 years. In 2002 The Board of Directors created a 30 year sediment removal and management plan (2002-2031). They looked at 3 different options: A) hiring a dredging professional, B) leasing dredging equipment and use current POA staff to operate, or C) purchasing a new dredge and using POA staff to operate. They contacted two environmental consultants for cost estimates over the 30 year process. The estimates ranged from $1,000,000 to $5,000,000 which left the POA in a difficult position of trying to make a long term management decision based on wide ranging potential costs. In the end the POA decided to purchase their own dredging equipment an utilize existing staff and volunteers to operated the equipment. In House Accountability Challenges: After nearly a decade of in house dredging the POA Board of Directors was unable to quantify and verify results. When reviewing the budget requests from the lakes and dam committee, they realized they were spending a lot of resources without having clear information on how successful the sediment removal process had been over the years. New Vision: The POA decided they needed to quantify the sediment problem to create a sustainable sediment management plan. The president of the board spearheaded an effort to get a hydrographic and sediment survey completed. The president contacted several hydrographic survey companies and chose The Mapping Network to provide this service based on experience in the industry and listening to the needs of the POA. 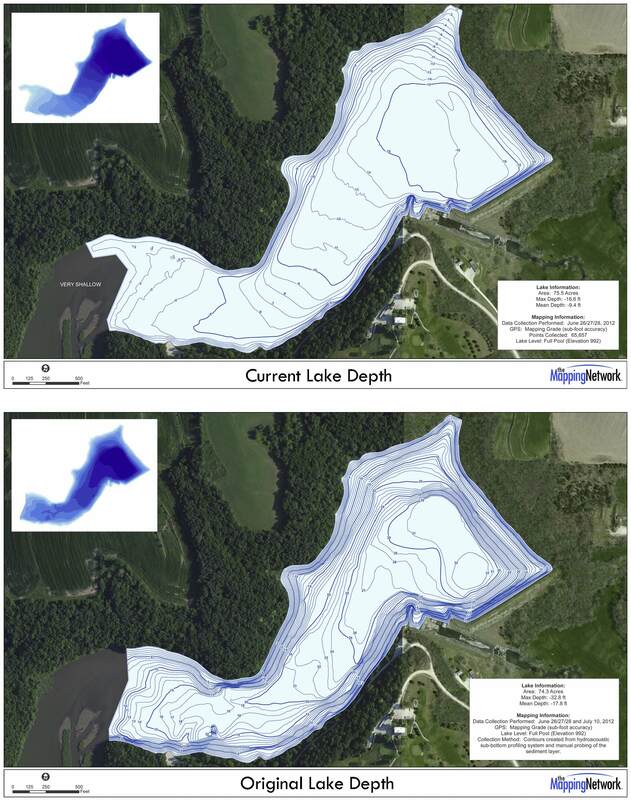 Lake Survey Purpose: The primary objective of the hydrographic and sediment survey was to better understand the condition of the lake by charting the existing lake contours along with mapping the sediment thickness throughout the lake. Once the mapping process was completed the POA was able to identify areas that needed dredging and how much material was there. This allows for much better budgeting and accountability. Results: The POA was excited to have information based on real numbers (lake and sediment survey). The hydrographic survey results are an essential part of the decision making process with regards to the sediment removal planning. After 20 years of dredging and several studies performed by consultants they felt for the first time they finally understood the problem and how to manage it. Now they have real information, which gives them a clear picture of what to do in the future. Future: Members of the POA say they will completely change course by finishing up the current in house dredging work and then sell all dredging equipment. They will then work with a professional dredging contractor to clean out specified problem areas identified during the hydrographic survey process. 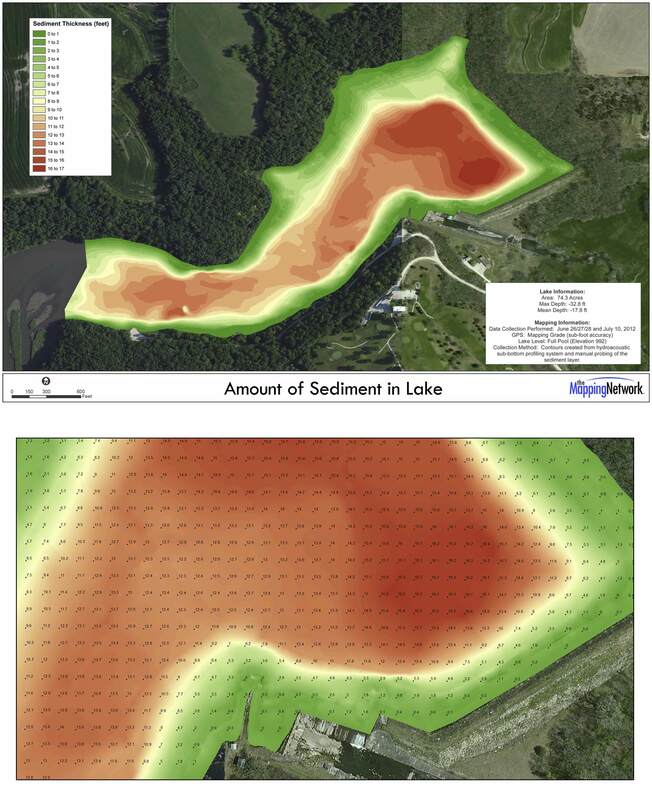 Understanding the true extent of the lake sediment distribution in the lake will save the POA an estimated $200,000 to $300,000 in costs by selling unnecessary equipment and strategic dredging planning. The POA will be using the hydrographic survey information as a baseline for all future work and will adjust the map as dredging continues. Conclusion: In the end the primary problem facing the POA was not the sediment in the lake but rather not knowing the facts about the lake to make the best decisions. The POA now has the facts needed to create a comprehensive plan that will accurately represent the work being completed. Plus members have a wonderful contour map to assist with fishing! This entry was posted in Lake Map, News, Sediment and tagged aerial lake map, Aerial Map, Bathymetric Map, Bathymetry, dredge budget. dredge budgeting, dredge cost, dredge planning, Dredging, dredging price, dreging, Fishing, GPS, GPS Lake, GPS Map, Habitat, hydrographic survey, hydrography, illinois dredging, illinois lake map, Lake dredging, Lake Management, Lake Map, Lake Mapping, Lake Survey, missouri dredging, Sediment, Sedimentation, Solitude Lake Management, Survey, texas fishing, Texas Lake Map, Texas Map, The Mapping Network, Virginia Lake Management, Virginia Lake Map, Waterfowl on March 4, 2013 by Moderator. The Mapping Network and Dredge America spent several days scouting the Missouri River between Iowa and Nebraska. Why you ask? Because it is the middle of winter in this part of the country and there are many frozen dangers on the river this time of year. The survey team had to find the perfect time when mother nature allowed for safe passage on the river. After a week of above average temperatures the ice disappeared and the team jumped into action. The goal was to map a portion of the river where a gas pipeline would be crossing. The pipeline is buried deep below the river bottom and knowing the existing bottom of the Missouri River is crucial to engineers placing the pipeline correctly. 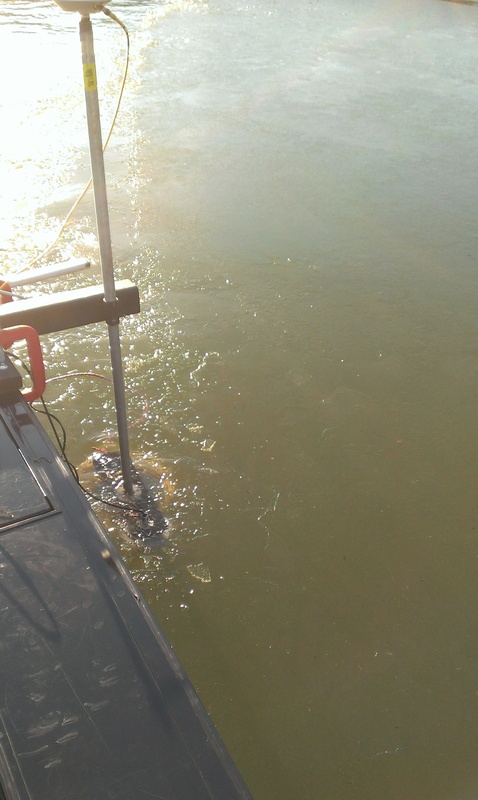 The survey team was able to finish the project on time despite dodging rogue chunks of ice, trees, sandbars (the current drought has the river at very low levels), other mysterious items floating down the river…and a broken prop! 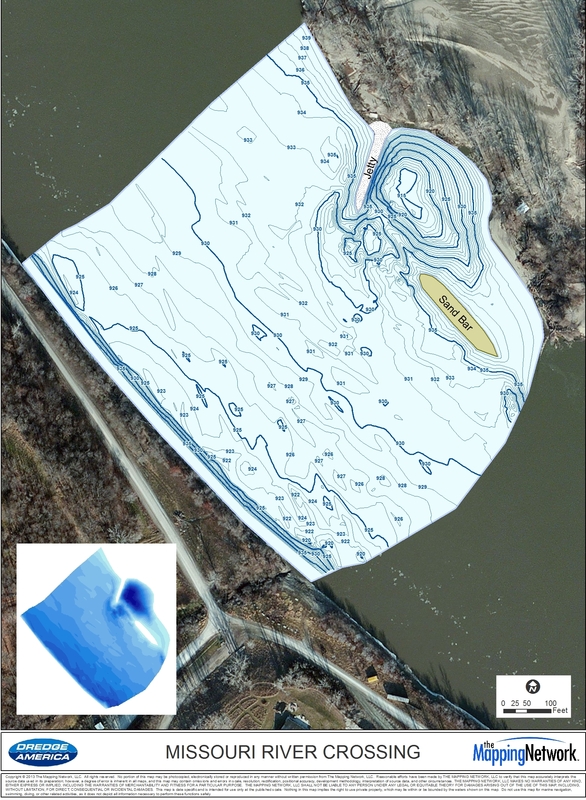 The resulting map shows many features you would expect to find on the Missouri River. 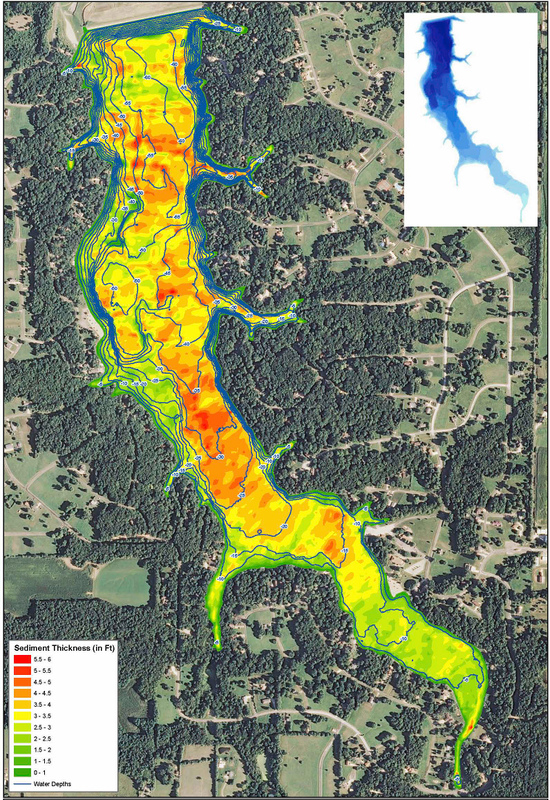 River bottom contour map of the Missouri River created by The Mapping Network and Dredge America. Thin layer of ice can be seen in the water around the transducer. This small area of ice was outside the survey zone near the boat launch. Dredge America, a leading US portable hydraulic dredging company, was established 20 years ago by Dan McDougal. They have both a small and medium sized dredge and perform projects across the United States. Please give them a call if you have any questions about sedimentation and dredging projects. Dredge America, Inc. is a professional, reliable and innovative leader in delivering portable hydraulic dredging services and geo-textile tube installation that exceeds our clients’ high expectations. We perform our dredging services for customers throughout the United States. Projects outside the U.S. in the western hemisphere are considered on a case by case basis. 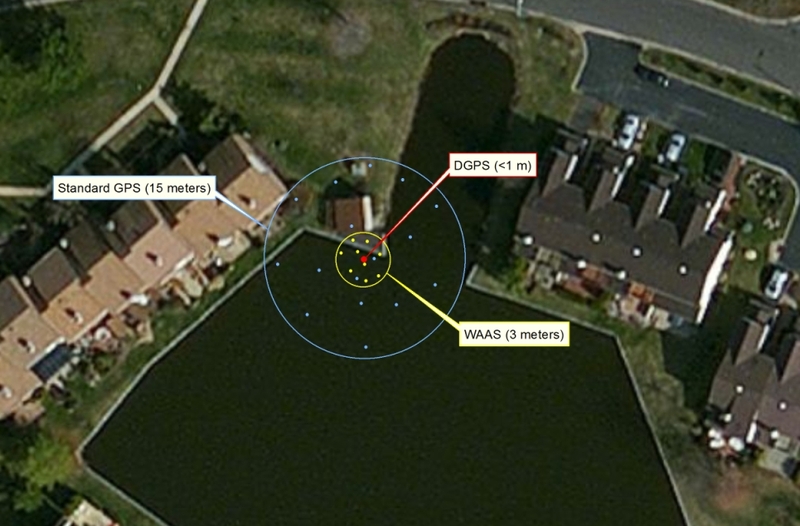 This entry was posted in Lake Map, News and tagged army corps of engineers, Bathymetric Map, dredge america, Dredging, GPS, GPS Lake, GPS Map, hydrographic survey, Hydrographic Surveying, hydrography, Lake Management, Lake Mapping, Lake Survey, missouri river flood map, missouri river hydrographic survey, missouri river low, missouri river map, missouri river pipeline map, Nebraska, Sediment, Sedimentation, Survey, The Mapping Network on January 29, 2013 by Moderator.